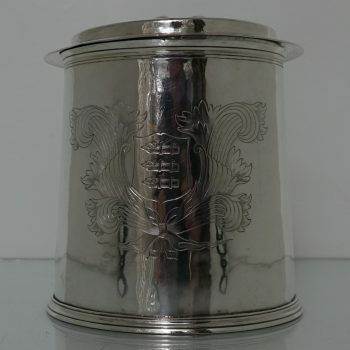 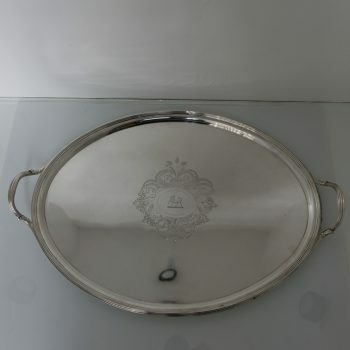 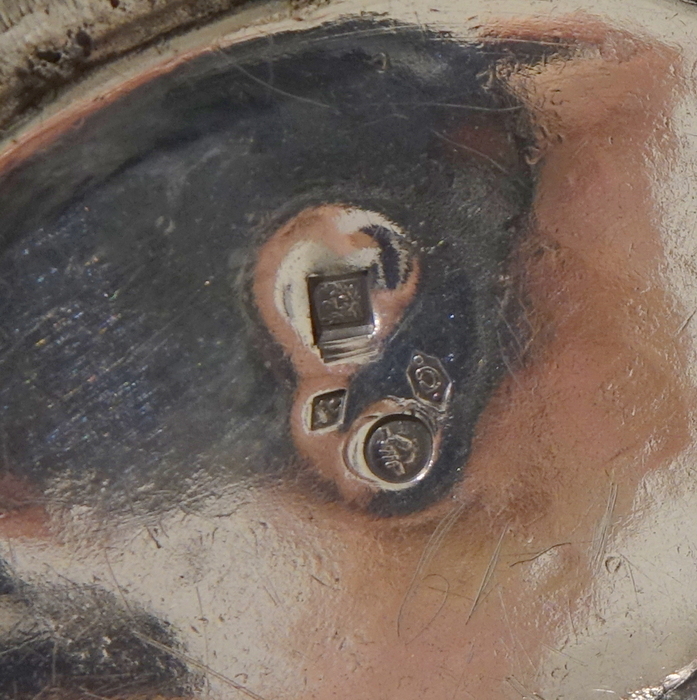 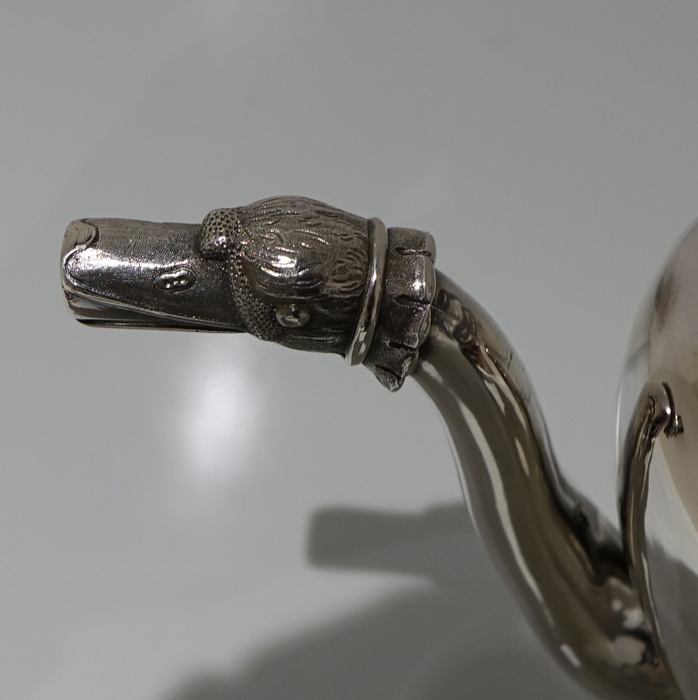 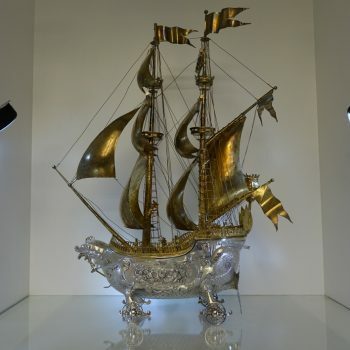 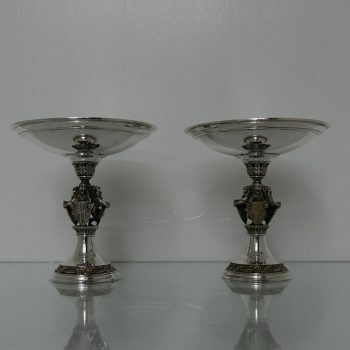 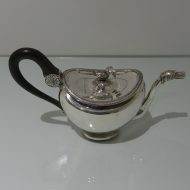 Home	> Tea	> Tea Pots	> 19th Century Antique Silver Teapot Circa 1830 Brussels? 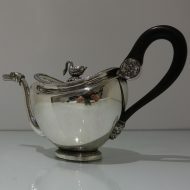 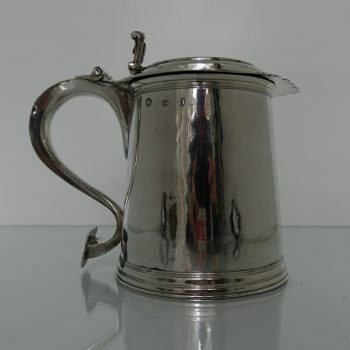 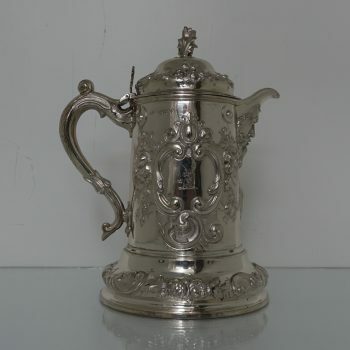 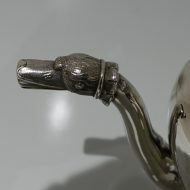 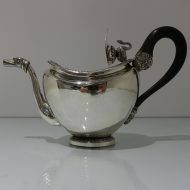 19th Century Antique Silver Teapot Circa 1830 Brussels? 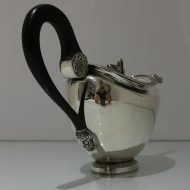 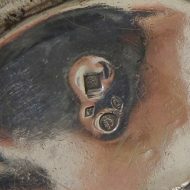 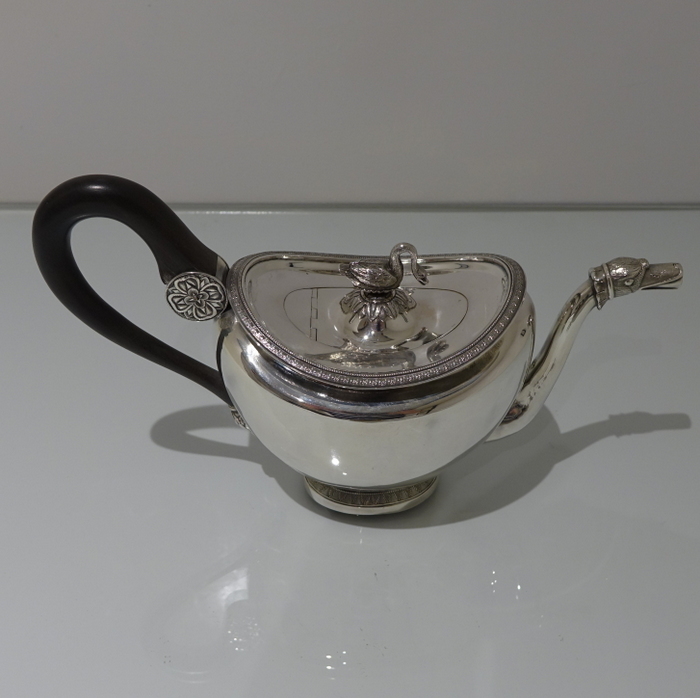 A very fine and extremely collectable European made silver teapot with plain formed tapering body. 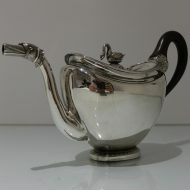 A very fine and extremely collectable European made silver teapot with plain formed tapering body. 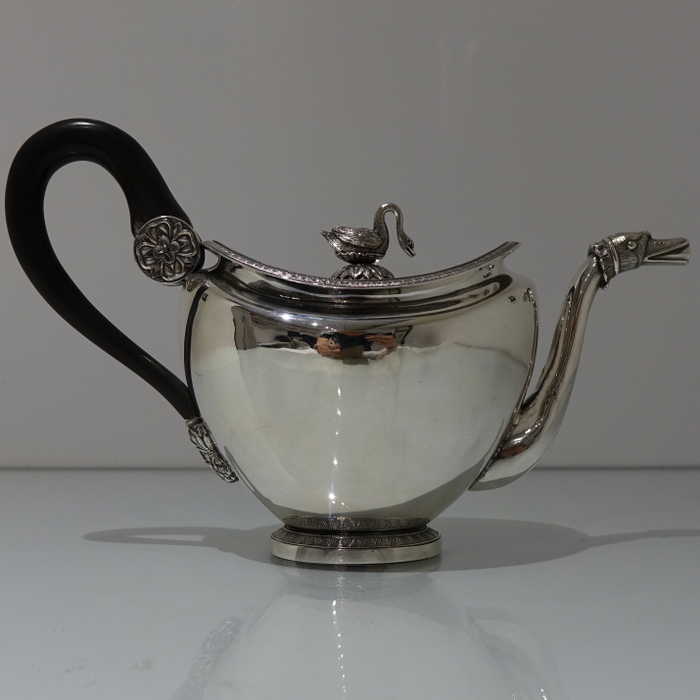 The teapot sits on a oval foot with a elegantly engraved outer band for lowlights. 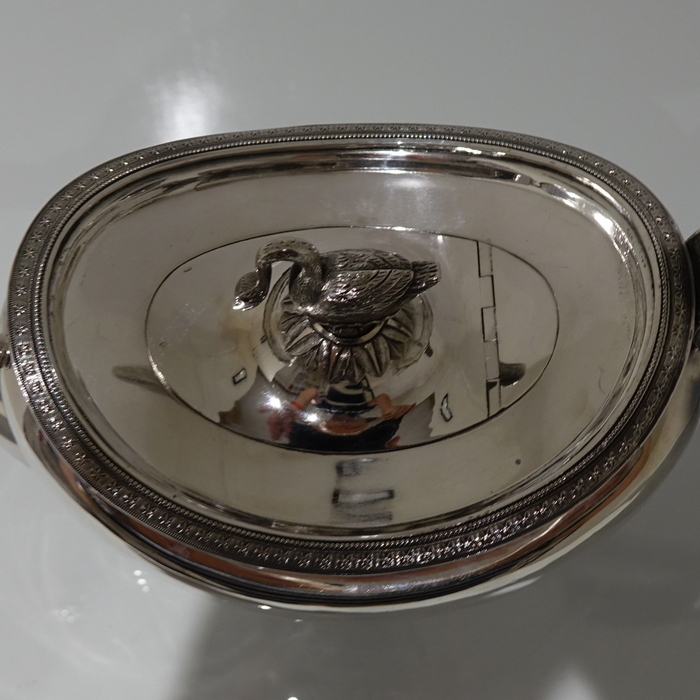 The spout is stylishly constructed and the hinged lid is crowned with a beautiful swan finial.